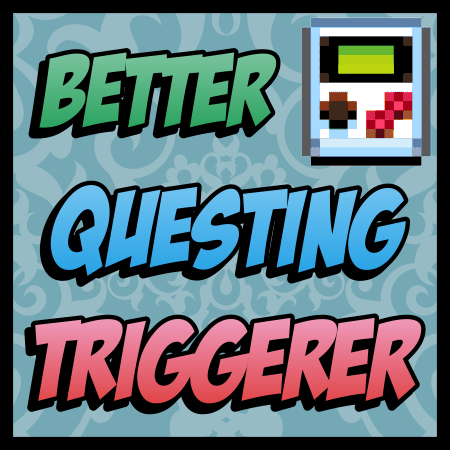 Better Questing Triggerer Mod 1.11.2/1.10.2 is an addon for Better Questing Mod. It adds only one thing to the game, an item to open the Better Questing GUI. Ever felt that you need a book in game, or any type of item to open the Better Questing GUI in Minecraft. Well, this mod will add it. Give the item to the player when starting a new world (true/false). Enable a recipe to craft the item back (true/false). Make sure you have already installed Minecraft Forge and Better Questing Mod.